Within South Africa, Cape Town is known as the "Mother City" dominated by Table Mountain. Visit our page on Cape Town. For information on Stellenbosch and the Cape Winelands, visit our page on Stellenbosch. You can find all of the good things to do on our page on Franschhoek. Find out what to do in Paarl with our page on Paarl. Check out what to do and see in Durban. The Garden Route lies along South Africa's southern coast. You will need about two days for this because it takes approximately six hours to drive to Knysna from Cape Town, renowned for its Oysters and another hour from there to take in the wonders of the Tsitsikama forest and Stormsriver area. 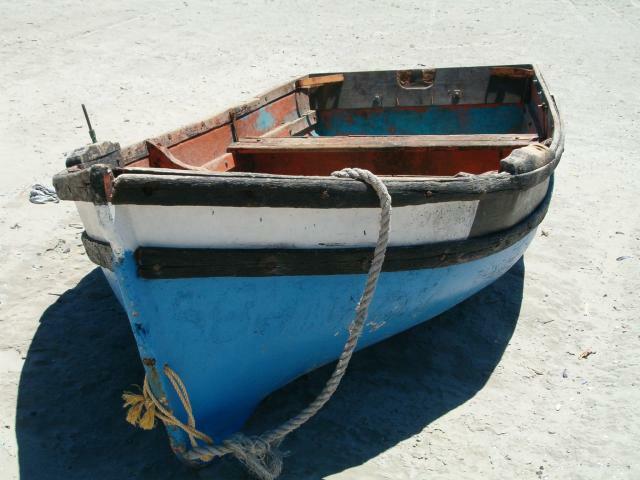 Paternoster, meaning our father, on the West Coast is an extremely quaint fishing village. The traditional fishermen's cottages, beautiful long beach, great food and unspoilt coastline in the Cape Columbine Nature Reserve make Paternoster a great place to visit. The little Karoo or Klein Karoo is an arid expanse of land with imposing mountains. The area is home to many early Christian mission outposts and more notably the South African ostrich farming business. You can visit an ostrich farm, the Cango caves or just drive through and see the landscape unfold in front of you. 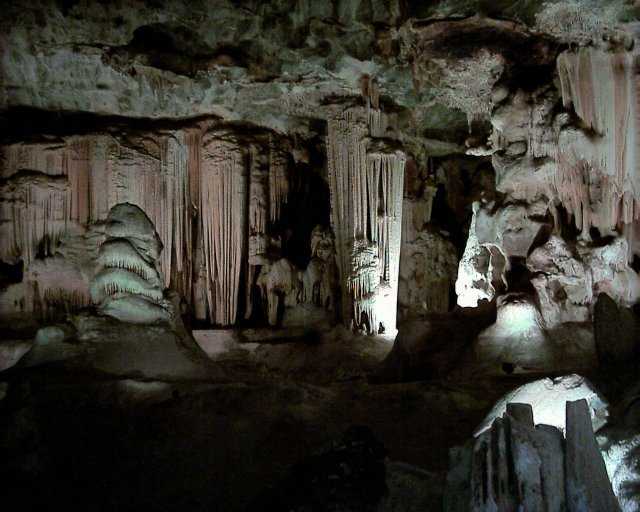 The Cango Caves near Oudtshoorn are millions of years old and are an excellent outing to discover the impressive collection of stalactite and stalagmite formations, completed columns and fluid flow formations in the network of underground caves. The caves were declared a national monument in 1938 and can be visited daily with a with a tour guide. Jeffrey's or J'Bay is a surfing mecca. The surf is world renowned with the most popular spots being Supertubes, Tubes and Point. The town has a good nightlife, excellent shopping and a bargain hunters favourite, a Billabong factory outlet. 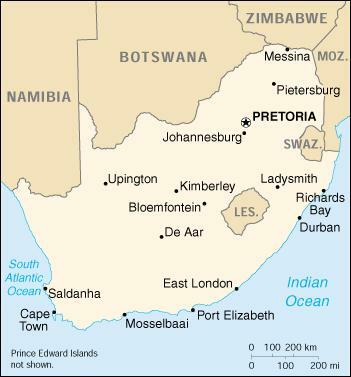 Formerly known as the Transvaal Province - it is here that you will find the cities of Johannesburg and Pretoria and a massive expanse of industry and suburbia. Visit the Presidents' residence in Pretoria or take a trip to Goldreef city just outside of the city of Johannesburg and spend the day experiencing life as it was during the Gold rush. This tribute to the inland settlers who undertoook the Great Trek between 1835 and 1854, the Voortrekker monument is designed in the Art Deco Style and was finished after 12 years of work in 1949. Inside the tapestries, friezes of marble depicted the Trek scenes, the museum in the basement and the stairs to the top make for a great day out. The Sterkfontein Caves, also known as and located in the Cradle of Humankind, is a good day out learning about palaeoanthropology, archaeology and our roots as human beings from over 1.5 million years ago when the Homonids lived in the area. The hour or so long tour by volunteer students, will take you through the Sterkfontein Caves where Little Foot and Mrs Ples was discovered by Dr Broom. The finds were the very first ape-man discoveries to be made and most important in their fields. It's a great day out and a visit to Maropeng will also be educational and enjoyable for the kids. 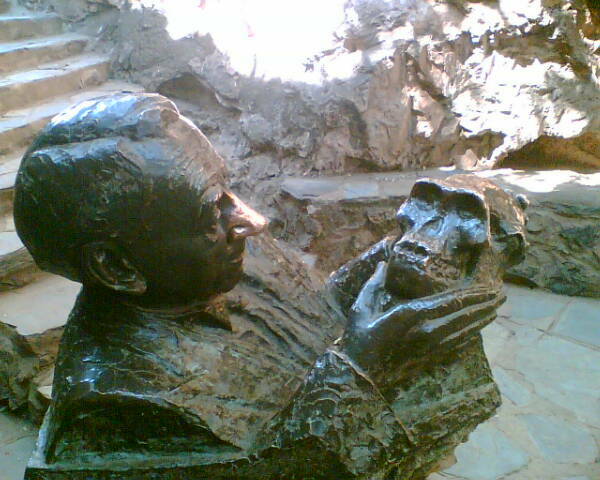 Find out more about the Sterkfontein Caves. Rietvlei Nature reserve is located close to Pretoria and Johannesburg. Rietvlei nature Reserve is ideal for those on a tight time budget and unable to visit one of the larger game parks in the country. The Reserve has 3800 hectares of rhino, zebra, wildebeest, a variety of buck, eland and hyena. There is also a yacht club, angling facilities, hiking and horse rides on location. Sun City is a Sol Kerzner masterpiece. There is a selection of hotels that range from self-catering, room-only and fully inclusive accommodation. Spend the day playing golf, sunbathing or riding the waves. At night, take in an extravaganza and try to win your fortune at the tables in the casinos. A five-hour drive from Johannesburg or a 45 minute plane trip. Visit the City of Durban and it's beaches or take a drive up the North or South Coasts. Kwa-Zulu Natal is also renowned for it's diving at Aliwal Shoal, Sodwana and Cosy bay. South Africa's biggest mountains, visit the Drakensberg and admire the diverse scenery, vibrant natural life and tallest peaks in South Africa. The Transkei homeland separates the provinces of the Eastern Cape and Kwa-Zulu Natal. Also referred to as the Wild Coast, the Transkei is a collection beautiful green valleys, imposing mountains, traditional villages and hectic towns. Visitors should know that amenities are not what one would expect in the developed world and some areas are best avoided altogether. In the Western part of the Wild Coast is the small town of Cintsa. Blessed with pristine coastal waters, lagoons, good surf and excellent beaches, Cintsa is worth a visit if it is even just for a day. Bring your snorkeling and fishing gear with you. The Kalahari Gemsbok Transfrontier Park is a popular holiday destination for both local South Africans, Namibians and Bostwanans but also for international visitors wishing to visit and enjoy the awesome game drives and red dunes of the kalahari desert. For more information visit our page on the Kalahari. For more information on the Orange River and the Richtersveld National Park, visit our page on the Richtersveld. The extremely long Orange River flows an incredible kilometres from to the Atlantic Ocean. The river has many attractions; canoeing, the Augrabies Falls, the birdlife, the Richtersveld National Park, camping and fishing to name a few of the most popular. 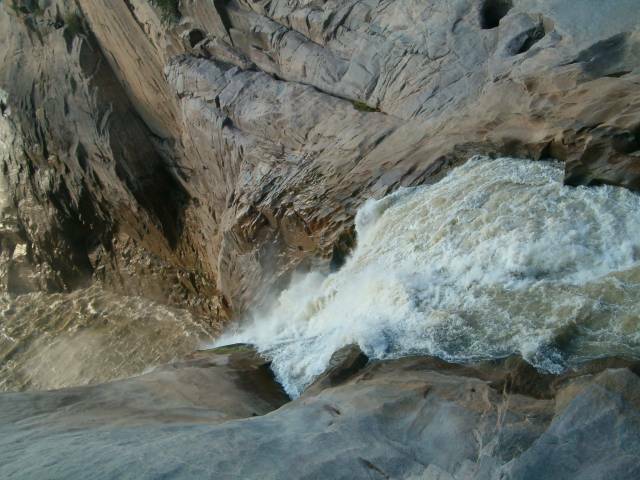 The powerful falls of the Orange River are called Augrabies or Place of great noise and are amongst the ten biggest waterfalls in the world. The falls are located in the Augrabies Falls National Park where the rushing water plummets into the surrounding granite canyon in a spectacular display as you watch from the walking and vista platforms above. The National Park is about 30 kilometres form Kakamas. The water levels do vary year round and best seen in late spring or early summer. There are numerous adventure activities to enjoy while in the park such as canoeing, 4X4 drives, game drives, hiking or just lazing around and swimming in the Orange River. The National Park has accommodation, camping facilities, a bar, a shop for both souvenirs and some essential food items. The area around Augrabies Falls National Park includes the picturesque and tranquil villages of Kakamas and Keimoes. These villages are important centres in the Orange River Wine Route. There are many guesthouses and farm stalls situated amongst the vineyards which produce some excellent wine and raisins. 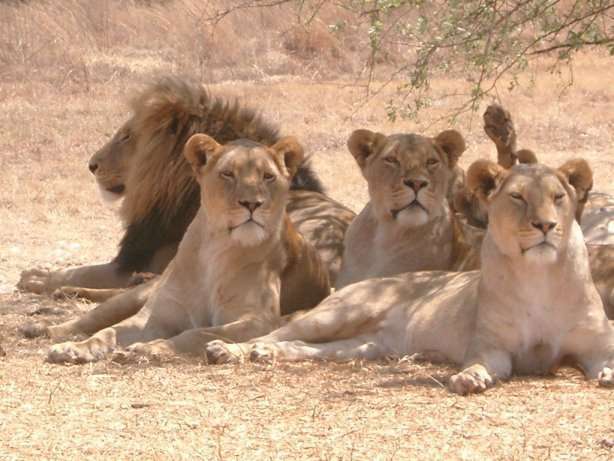 Take a few days to explore the Kruger National Park or you may choose to visit a private game park. There are many scattered throughout the country, most offering accommodation and traditional African cuisine. South Africa has excellent surf. Popular spots include Jeffrey's Bay, Durban, Muizenberg and Big Bay in Cape Town. Bring your board, your wax and surfs up! South Africa has excellent scuba diving. The most popular spots in the country to dive are Sodwana Bay, Aliwal Shoal and good cold water diving in Cape Town. Also popular is cage diving with the Great White Shark, expensive but exhilarating. This is heaven for any curio shopper and as the Rand is not a very strong currency against the British Pound or US Dollar, you will certainly leave with a few more bags that you arrived with. Remember to keep your cash slips as you can claim all your sales tax back at the airport. 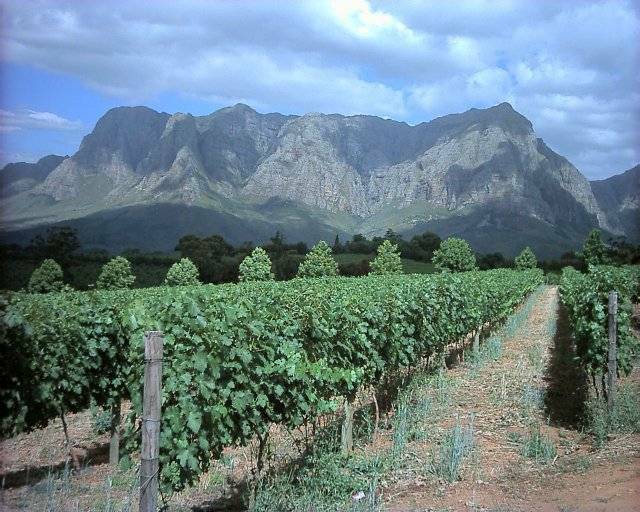 South Africa's popular wine area includes the towns of Stellenbosch, Robertson, Paarl and Franschoek. Some of the wine estates along the R62, the world's longest wine route, have wine tasting and light meals. You can spend the day driving and taking in the scenery or park, take a break and sample some of the excellent wines produced by South Africa's top vineyards. South Africa's beer selection includes Castle, the Namibian Windhoek and Tafel, Hansa, Black Label and a wide range of foreign imports. When you are at the coast be sure to feast on Crayfish, lobster, muscles and prawns. Calamari is also a definite treat and why not try a salty fish called Snoek - grilled or fried. A traditional South African dish made of rice, minced beef, egg and sultanas. Delicious, especially with some mango chutney. Rusks is dried bread made with buttermilk and aniseed. Dip in your coffee - great!! Rooibus Tea is made from the indigenous "red bush" - rooibus, very nice. There are plenty of hostels in South Africa. Prices vary from hostel to hostel but are generally affordable. Search for and book a hostel in South Africa. All these options will be open to you depending on where you choose to stay. The prices are generally very affordable. Be sure to book ahead if you have specific preferences in the high season - November to March of each year. Many of the main hotel sites will have listings for you in South Africa. Find South Africa Hotels. Find out about camping in South Africa on our page about Camping in South Africa. East London Backpackers is a very clean, affordable and well located hostel near the Esplanade on the East London Coast. In Cintsa, Moonshine backpackers has camping, rooms, a bar, pool table and good facilities and is 2 minutes from the beach. The national carrier of South Africa is South African Airways and you can book flights with them at www.flysaa.com. The Gautrain was launched in 2010 and is a link from Johannesburg OR Tambo airport to Sandton, the business district, in Johannesburg. The train is quick, about 15 minutes, and the best way to get into Sandton quickly from the airport. South Africans drive on the left hand side of the road. Your own transport is a necessity in South Africa as public transport is not very good and virtually non-existent outside the main cities. Many tourists visiting South Africa choose to join organized coach trips - this is a good idea but does restrict you in terms of where you are going and who you are spending time with. It is possible to catch a taxi in the main cities but as it is mainly tourists who use these, you may find it costly if it is all you are relying on. South Africans are a laidback bunch taking life as it comes. This approach is particularly appealing while on vacation. While being served in stores do be polite and patient as losing your temper may only prolong the situation. South Africa has 11 official languages so you will hear a variety of dialects but the most widely spoken are English, Xhosa, Zulu and Afrikaans.